These terms and conditions apply to all nominators and all entrants into the Pharmacy Guild of Australia/Maxigesic Pharmacy Assistant of the Year 2019 competition (the Competition). Information on how to enter and prize details form part of these conditions. Entry into this Competition is deemed acceptance of these terms and conditions of entry. The promoter is The Pharmacy Guild of Australia ABN 84 519 669 143 whose registered office is located at 132 Leichhardt Street, Spring Hill, QLD, 4000 (PGA). When can I nominate an Eligible Entrant? There is no entry fee or purchase required in order to nominate an Eligible Entrant for, or for an Eligible Entrant to accept a nomination for, entry into the State Competition. Nominations received outside of the Nomination Period will not be considered. How do I nominate an Eligible Entrant? There is no limit to the number of Eligible Entrants that an Eligible Nominator can nominate. Once PGA receives a nomination of an Eligible Entrant from an Eligible Nominator that conforms in all respects with these terms and conditions (each an Eligible Entry), PGA will notify the Eligible Entrant and their employer in writing of their nomination. Employers may also be asked to provide PGA with further information in relation to the Eligible Entrant. Notification to the Eligible Entrant will include a link to a response form (Response Form). All nominated Eligible Entrants must formally accept their nomination by completing and submitting a Response Form online by 7 June 2019. Any Response Forms received after this date will not be accepted, and the nomination of that Eligible Entrant for the State Competition will not be considered. to compete at the State Workshop for the relevant State Competition. Shortlisted Eligible Entrants (State Finalists) will be asked to attend the State Workshop in their capital city (at their own expense). State Finalists who attend the State Workshop day will receive a framed certificate at the State Workshop Day announcement function. Any State Workshop may be cancelled by PGA if it considers, in its absolute discretion, that there is an insufficient number of Eligible Entrants for the purposes of that State Workshop. State Finalists whose State Workshop has been cancelled will be asked to attend a State Workshop in another capital city (flights and accommodation to be paid for and arranged by PGA in conjunction with the relevant State Finalist(s)). What is the State award? a small gift (e.g. flowers / bottle of wine). Each State Winner will be invited to represent their State at the final judging session (at the National workshop) at the Conference. return transfers from Brisbane Airport to the Conference on Wednesday 9 October 2019 and departing on Sunday 13 October 2019 (transfers outside of these dates will be at the winner’s expense). Subject to the relevant State Winner remaining employed in the community pharmacy industry up until and including the date of the relevant workshop, each State Winner will also receive an invitation to participate as a judge at their State Workshop the following year. Participation as a State judge is at the State Winner’s own expense. All travel in relation to the Conference will be arranged by PGA, in conjunction with each State Winner. How is the State Competition judged? All Eligible Entrants will be judged by an independent panel of judges appointed by PGA, and one winner per State will be selected. The outcome of the Competition is final and binding. Only one State Winner will be selected from each State Workshop and no runners up will be awarded. PGA will liaise with each winner (and will notify their employer) in relation to the process and requirements in relation to the National Competition. Who competes in the National Competition? Each State Winner competes at the National Workshop held at the Conference. How is the National Competition judged? All State Winners will be judged by an independent panel of judges appointed by PGA, and one winner for the National award will be selected. Final judging for the National Workshop will take place at the Conference. The outcome of the National Competition is final and binding. A Runner Up of the National Competition may be announced at the Conference Dinner, subject to the discretion of the PHA and National judging panel. If for any reason the National Winner is unable to fulfil or claim any part of the Award prize, the Runner Up may, at the absolute discretion of PGA, be offered the opportunity to do so. The Runner Up will receive a $500 cash prize, a trophy and a framed certificate. All travel will be arranged by PGA, in conjunction with the National Award recipient. The National Winner also has the opportunity to write 10 x monthly columns to be published by the Award media partner and/ or National Guild publications. The winner of the National Award will be announced during the PA2019 Conference Gala Dinner on Saturday 12 October 2019. All Eligible Entrants must communicate with PGA in a timely manner in relation to all aspects of the Competition. The winner of the National Award may be required to attend promotional events (by mutual agreement with PGA). The winner of the National Award acts as a representative of PGA and approved sponsors. Any third party requests for (for example) representation or public appearances that relate to the subject matter of the National Competition must be approved by PGA in writing prior to the undertaking of that activity. No cash alternative to the State Award or the National Award (together, the Awards) are available. The Awards are not transferrable and are subject to availability. PGA reserves the right to substitute any Awards (or any part thereof) with another of similar value with notice. 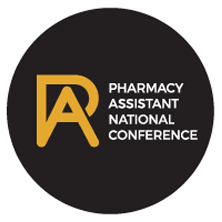 Eligible Entrants must not involve themselves in activities that bring The Pharmacy Assistant of the Year brand, PGA or any approved sponsors into disrepute. These terms and conditions contain the entire agreement between you and PGA about its subject matter. Any previous understanding, agreement, representation or warranty relating to that subject matter is replaced by this document and has no further effect. PGA reserves the right to cancel or amend this Competition and these terms and conditions without notice. PGA will notify entrants of any changes to this Competition as soon as possible after that change. All documents and correspondence in relation to this Competition will be deemed to be accepted at the time of receipt by PGA and not at the time of transmission. PGA is not responsible for lost, late or misdirected entries. PGA is not responsible for technical difficulties with the entry mechanism and does not warrant that the entry mechanism will be available at all times. PGA’s decisions in respect of all matters to do with this Competition will be final. Any Eligible Entrant who, in the opinion of PGA, tampers or interferes with the entry mechanism in any way, or who does not properly comply with the entry process, or acts in a manner inconsistent with the spirit of this Competition, will not be considered. PGA can disqualify entries for non-compliance with these terms and conditions. PGA accepts no responsibility for any tax liabilities that may arise from winning the Awards. To the extent permitted by law, PGA is not liable for any loss or damage whatsoever (including, but not limited to, direct or consequential loss) or personal injury suffered or sustained in connection with this Competition. Feedback or complaints about this Competition should be emailed to paty@qldguild.org.au.